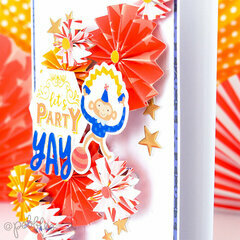 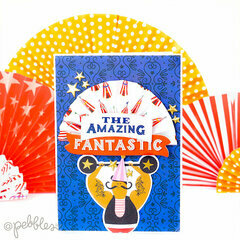 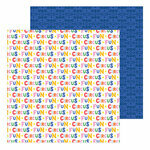 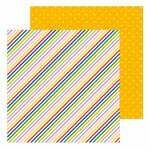 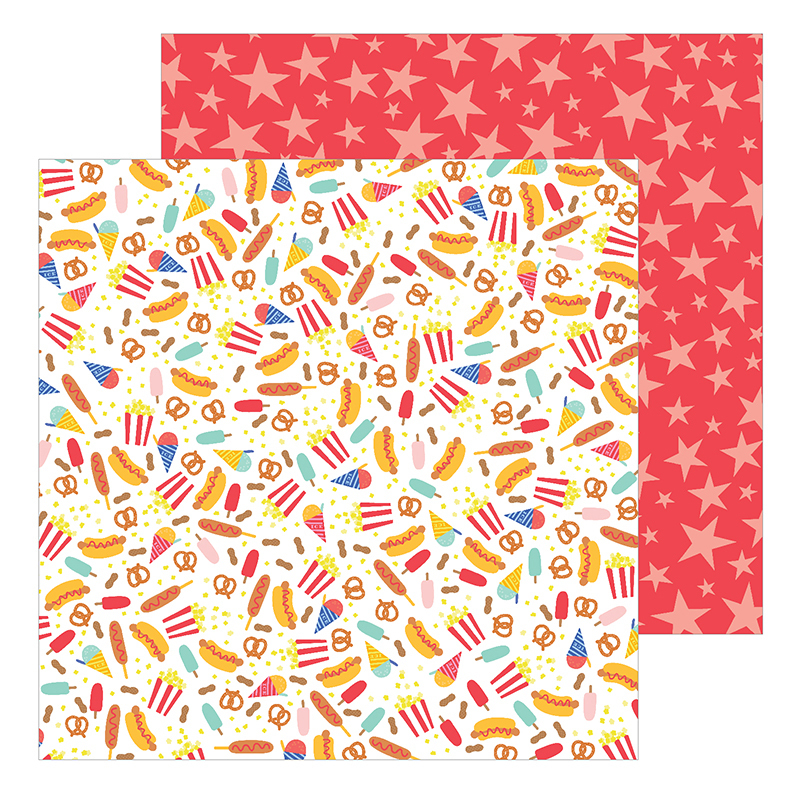 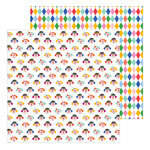 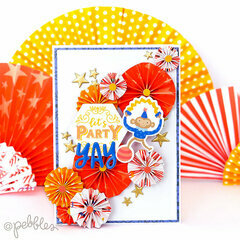 If you're a foodie, you're going to love creating with the Circus Treats 12" x 12" Double Sided Paper by Pebbles! 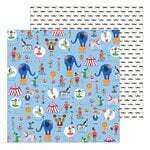 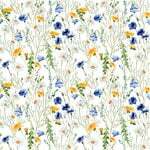 There is one sheet of paper included in the package that is part of the Big Top Dreams Collection. The paper is made in the USA and features hot dogs, popcorn, sno-cones, pretzels and more on one side and stars on a red background on the other.